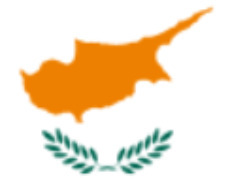 The Best Republic of Cyprus Information for you. I don't know if you've been hearing or reading about the long term issues between Southern Cyprus and the turkish occupied northern Cyprus. During my research recently and linking up with a truly great journalistic article writer, it has dawned on me the importance of reaching out the anyone thinking of moving to Northern Cyprus. There's been a lot of reporting in the media about unsuspecting UK citizens buying property in Northern Cyprus. Please don't be another statistic. In order to give you a true understanding of the situation in the North, I really feel it's time to help you truly understand the situation and why at this time it is not in YOUR best interest to buy property in Northern Cyprus. You may be at financial risk if you do. With the assistance of a professional journalist, we have put together this factual article to give you an factual insight and true understanding of why not to buy property in the North. I also want to help give you an insight into the history of why the island of Cyprus is divided. Don't get me wrong, we live in Southern Cyprus, We just want to help YOU make an informed decision. Despite its beauty, Cyprus, like many coutnries has it's own conflict. Today, more than 2,400 soldiers from the United Nations patrol the boundary separating Northern and Southern Cyprus. This line is known as the Green Line, which is also sometimes referred to as the United Nations Buffer Zone. Only recently, in 2003, have Greek Cypriots been allowed to cross it. So what brought the soldiers here in the first place and why? In the 1960s there was some tension between the Greek and Turkish Cypriots living on the island, which subsided around 1967. After that, the main source of conflict sprouted from factions within each of these groups. This led to many Greek Cypriots wanting to become part of Greece officially with others strongly opposing the idea. In July 1974, the island became divided and has been ever since after much battle and political unrest. That year, a group of Cypriots wanted the island to become part of Greece and attempted a violent coup d'état against the president, Makarios, at the time. Just a few days after this attempted coup, Turkish troops arrived in the Northern Cyprus region to protect the Turkish Cypriots who did not want to join Greece. This led to the eventual divide that remains today. This separation didn't come easily, either. Turkish Cypriots stranded in Southern Cyprus after the divide, were allowed to relocate to the North or out of the country. Greek Cypriots living in the North Cyprus region were forced out of their homes and into the south. The overall effect of this division of the republic of Cyprus has been catastrophic. Ultimately resulting in the deaths of thousands of both Greek and Turkish Cypriots. Even more were wounded, gone missing, or displaced because of it. The Turkish soldiers remained and occupied the Northern Cyprus region of the island. To this day, the island remains divided and the area has become known as the Turkish republic of northern Cyprus, or the TRNC, though it is not a recognized state. However, because of political agreements, the Turkish occupation remains and the Greek Cypriots remain on the southern part of the island. It is important to understand that the Turkish republic of northern Cyprus is not a recognized separate state even though it did declare its independence in 1983. The only nation to give Northern Cyprus diplomatic recognition is Turkey, which is the same nation that the TRNC relies on for economic and political support. The rest of the world recognizes the sovereignty of the entire republic of Cyprus. Over the years there have been many failed attempts to resolve this dispute and bring an end to the separation. While the Turkish Army remains a large force in Northern Cyprus and is supported by only Turkey and the local de facto government, the rest of the republic of Cyprus and much of the world view it as an illegal occupation. In fact, several resolutions by the United Nations have denounced the Turkish republic of northern Cyprus. This separation between the two regions of Cyprus has led to other discontent as well. For example, it has become a problem to purchase land in the TRNC. The land is highly coveted for its prime location and affordability. Who wouldn't want a beautiful parcel of land with a villa in the Mediterranean? However, buying property in the northern region of Cyprus can be illegal and may even result in prosecution against the buyer, not the seller. This warning holds especially true for foreign buyers as there are strict limitations. The most clearly stated limitation is that any foreign national wishing to purchase land in Northern Cyprus may purchase a maximum of 1 donum, which is about 1,338 square meters for one property. Bigger pieces of land may be purchased by a local company or with other members of the foreign national's family. Due to the extreme political situation occurring in the republic of Cyprus, buyers must beware of the nature of the title deed they are interested in. Not being careful can result in a world of trouble for the buyer. Immediately following the split of the country, Turkish-owned land in the South was "nationalized" as was Greek-owned property in the North. Eventually, the two regions exchanged compensation for these properties and only a handful of the Turkish and Greek Cypriots ever claimed it. Properties and parcels of land that were included in the exchange are often put up for sale, but so are some that were never included. It is extremely important that foreign buyers be aware of the differences among title deeds in Cyprus. If not, legal problems may abound. Because of these limitations, many investors tend to shy away from land purchases in the North. Land and property owned by foreign nationals prior to 1974 is still internationally acceptable and safe to purchase as long as the seller has legal ownership and there are no mortgages or outstanding debts. Additionally, land and property owned by Turkish Cypriots before 1974 is also safe to buy without the same restrictions just mentioned. Legal counsel and a local solicitor can help buyers recognize the safe purchases as well as the illegal ones. Land or property that still retains a Greek Cypriot title from before 1974 and has not been nationalized in the exchange or claimed back is not safe to buy. The individual or entity offering it for sale may likely be doing so against the law and the buyer will be punished. Additionally, some parcels of land and houses slipped through the nationalization efforts after 1974 and do not have official titles. It would be unwise to purchase such properties as well, as they may not be legal. While not all land in the Turkish republic of northern Cyprus is illegal to buy, much of it is. To be on the safe side, it may be best to focus investments in the Southern republic of Cyprus to simply avoid any possible legal repercussions and losing your investment. Though the country itself may be beautiful, the political and physical division may also make it a challenging place to relax in your newly purchased property in the North. Again, buyers beware. Focus on having a property in Southern Cyprus, it is a safer bet. Just do your homework.